It's exam season again. So we were not surprised to hear that thousands of students in Germany were crying foul of their English exams this week. However, what was surprising was their grievance. Apparently Prince Harry was the cause. No, not a case of teenage angst! But a case of mumbling speech. Because it seems that the exam authorities in North Rhine-Westphalia had come up with a cunning plan for the English exam this year. 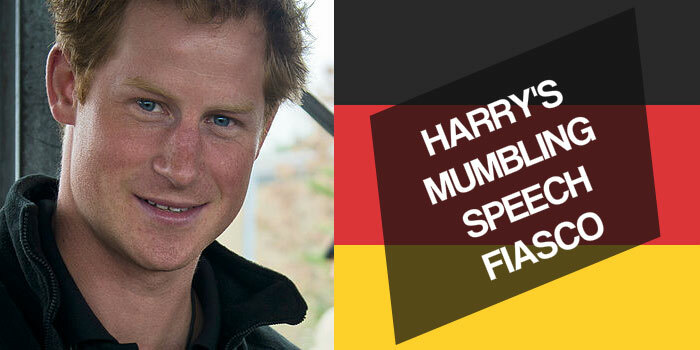 The students had to listen to a speech by Prince Harry as part of their exams in English. All very well, you might think. But the devil is in the detail with this story. Because it seems that the hapless examination board failed to come up with a half-decent sound recording of his speech. The speech was sourced from a podcast of dubious origin. A Mumbling Speech Or A Dodgy Recording? The result was always going to be obvious. Tens of thousands of students complained that the Prince muttered too much in his speech. In addition, the English teachers complained that the Prince mumbled in his speech. Anything else left to complain about? Oh yes, one of the students, Dario Schramm, explained that the speech recording contained very loud background noises. What happens next is going to prove fascinating. Some 40,000 students have asked for a re-take of the examination. And, their teacher's trade organisation has also given an "inadequate" rating to the complete exam. A fascinating impasse this exam season. Of course we might never know whether this was really a mumbling royal speech by the Prince, or simply a case of a dodgy recording. 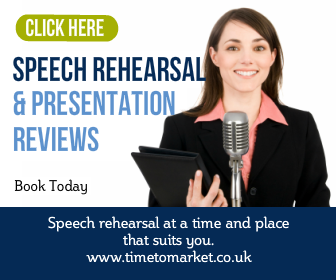 But, getting the right presentation voice tone has to be your main aim as a speaker. 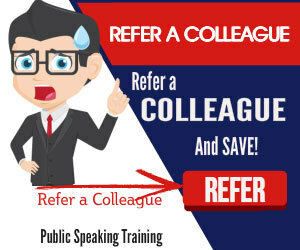 To learn more about diction and clarity in your speeches, you can always join us for a day's public speaking training.